Four Duncanville police officers received commendations for recent on-duty courageous efforts. They performed outstanding work during an incident that occurred on July 4, 2017. Officers Patrick Deggs and Robert Byrd initiated a routine traffic stop near Joe Wilson Road and the East Highway 67 Service Road. They found a driver with one passenger occupying the vehicle. Because the driver was not communicating with Officer Deggs, Officer Byrd commanded the passenger to keep his hands visible and place them on the dashboard. Disregarding commands, the driver put the vehicle in gear, and clipped Officer Deggs. At that point, Officer Byrd immediately radioed for assistance. After a short chase and after wrecking the vehicle, the driver fled on foot. The driver was intercepted by Officer Eric Painter, assisted by Officer Kamecha Johnston. Officers Deggs and Byrd arrived shortly after the driver fled on foot, and contained the passenger. All four officers showed focus, courage and determination to apprehend an individual who was under the influence of narcotics, and caused a hazardous situation. Officers Deggs and Byrd received a certificate of merit, and Officers Painter and Johnston received department commendation. 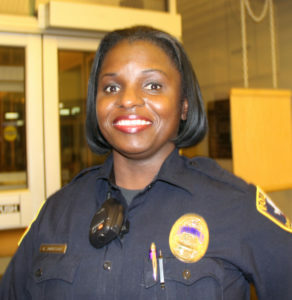 Officer Deggs was recently profiled in this newspaper for receiving an award from MADD. He has been with the Duncanville Police Department for three years. 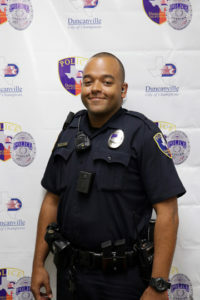 Officer Johnston has been with the Duncanville Police Department almost nine years. Officer Painter has been with the department eight years. Officer Byrd was hired in June. He graduated from the police academy in March. 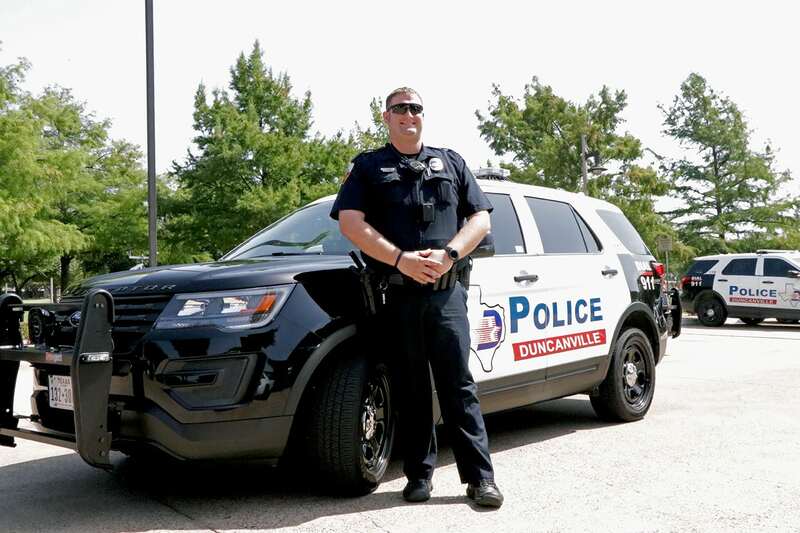 The Duncanville Police Department consists of 61 full-time officers and seeks to contribute to the highest quality of life. For more information about Duncanville’s Police Department, visit www.duncanville.com.